Current research in the Agnarsson lab spans a range of topics, including (in no particular order) genomics, morphology, taxonomy, biodiversity estimation, sociality, inbreeding, phylogenetics, silk biomechanics, acoustic communication, biogeography, phylogeography, and phylogenetic theory. My main research applies phylogenetics/genomics to address evolutionary questions in organisms as unlike as arthropods and whales, using data derived from morphology, behavior, and DNA. Focal research in the lab at the moment is biogeography of the Caribbean (funded by NSF DEB (1050187-1050253) (read about it in International Innovation), as well as in the Indian Ocean. The importance of islands in revealing evolutionary processes has been recognized since Darwin’s work on the Galapagos and Wallace’s work in the Malay Archipelago. Since, island biogeography has provided many elegant examples of the evolutionary mechanisms involved in generating biodiversity, including geological processes and colonization and isolation. Archipelagos such as Hawaii and the Galapagos provide examples where cycles of evolutionary radiation have produced replicated patterns of endemic, often bizarre, forms. Yet, the extreme isolation of these islands reduces the interplay between islands and continents—interchange is one-way (islands as sinks) and limited to rare chance dispersal events. The West Indies and island chains in the Indian Ocean (Madagascar, Comoros, Seychelles, Mascarenes) are remarkable as they are sufficiently old and isolated to have generated endemic forms, but close enough continents to sustain a dynamic two-way interaction with diverse continental landmasses (Agnarsson and Kuntner 2012). our island biogeography projects seek to understand the generation of biodiversity on island archipelagos in relation to geographical isolation and dispersal abilities of taxa (Xu et al. 2016, Agnarsson and Kuntner 2012, Kuntner and Agnarsson 2011a, b). Our effort in the Caribbean focuses on dispersal ability as a key biogeographical factor in explaining patterns of both distribution and diversity of organisms and has yielded a number of publications (e.g. McHugh et al. 2014, Bloom et al. 2014, Esposito et al. 2015, Dziki et al. 2015, Cosgrove et al. 2016). Since the early days of PCR and Sanger sequencing, many studies have reconstructed the phylogeny of spiders at various taxonomic levels, often yielding robust phylogenies. The phylogeny of the order, however, could not be adequately resolved with standard molecular data (Agnarsson et al. 2013). However, with the advent of modern Next Generation Sequencing technologies, and rapidly lowering cost placing such technologies within grasp of moderately funded laboratories, a data revolution is ongoing in the biological sciences. Massive data sets can now be rapidly and relatively cheaply amassed to address a myriad of biological questions ranging from taxonomy and phylogeny of taxa to the origin, evolution, expression, and function of genes of organisms. Whether utilizing entire genomes (genomics), expressed genes (transcriptomics), proteins (protenomics), or randomly or strategically selected subset of genomes (e.g. targeted enrichment methods), questions can now be addressed with unprecedented resources. In collaboration with the Bond lab (Auburn), we use transcriptomic and anchored enrichment methods to gather phylogenetic data to resolve both ancient and recent arachnid clades (e.g. Bond et al. 2014, Garrison et al. 2016). My lab is also involved in de novo generation of spider genomes and transcriptomes. Very little is known about spider genomes, and in collaboration with Ben Voight and Paul Babb at the University of Pennsilvania we are generating de novo genome assembly for two spider species: Nephila clavipes (Golden orb-web spider) and Caerostris darwini (Darwin's bark spider). We are particularly interested in unraveling the diversity and distribution of spider specific genes such as those coding for proteins of spider silks and venomes (Babb et al., in review). The evolution of social behavior has been of great interest to biologists since Darwin first addressed this "one special difficulty". Since Darwin, the study of sociality has itself evolved to become a sub-discipline of biology: sociobiology. Sociality continues to excite. It represents a conflict between individual and group benefits, and eusociality perplexes as a strategy entailing ecological dominance, yet one that has rarely evolved. Many unanswered questions still surround the evolution of sociality from non-social ancestors and in that repsect spiders are an excellent study group. They represent the largest clade of exclusively predatory animals and are notoriously solitary and aggressive, even towards potential mating partners and own offspring. Social evolution thus implies obstacles (innate aggression and cannibalism) that other social organisms may not have faced. Furthermore, they lack the most frequently cited correlate of sociality, haplodiploidy. Hence factors that may facilitate sociality in spiders are quite possibly important in other social organisms. My research focus on phylogenetic tests of the causes and consequences of sociality (Agnarsson 2006, Agnarsson et al. 2007, 2015), where we have found that social theridiid spiders represent a remarkeble example of evolutionary dead-ends (Agnarsson et al. 2006), a trait that frequently evolves, but persists only briefly. This may be related to one consequence of spider sociality, namely inbreeding. Nearly all social spiders are highly inbred, resulting in loss of genetic variability at the population, and species level (Agnarsson et al. 2013). Limited genetic variability, in turn, may restrict the evolutionary potential of lineages and make them vulnerable to changing environment and disease. A recent interest resides in the coexistence of multiple Anelosimus species in Malagasy montane forests. We are particularly interested in determining factors that may have led to the assembly, and allowed coexistence, of up to 10 similar congeners at a single forest site (Agnarsson et al. 2016). The family Theridiidae is one of the largest spider families and well known for their ecological, morphological, and behavioral diversity. However, prior to the work of my collaborators and I, no phylogeny existed preventing the testing of a myriad of hypothesis on the evolution of various traits and behaviors. Our effort is ongoing in revealing the relationships among theridiid spider, and the placement of Theridiidae in the tree of life (Agnarsson 2003c, 2004, 2005, 2006a, b, c; Agnarsson and Kuntner 2005; Avilés et al. 2006, Arnedo et al. 2004, 2007, Liu et al. 2016). These phylogenies offer the essential backbone for hypothesis testing in the diverse fields these spiders serve as exemplar study organisms. These have been used to study the evolution of sociality and kleptoparasitism, the timing of origin and diversification of the family in the context of their potential prey (Liu et al. 2016), and many others. About a third of all social spiders-eight species-belong to the theridiid genus Anelosimus whose species therefore have become model organisms in the study of spider sociality. I have revised all the New World Anelosimus species (Agnarsson 2005, 2006), and also described species from Madagascar (Agnarsson and Kuntner 2005, Agnarsson et al. 2010), and mainland Africa and Southeast Asia (Agnarsson and Zhang 2006). We have also proposed a phylogenetic hypotheses using world-wide exemplars for species level phylogenies (Agnarsson 2005, 2006b. 2012a, b, 2014; Agnarsson et al. 2007, 2010, 2015). Current work focuses on broadening the taxon sampling to ultimately to taxonomically revise and phylogenetically place all Anelosimus species worldwide. This work will open the door to global comparative analyzes of the causes and consequences of sociality in this lineage. Spiders produce silks that have remarkable material properties, such as absorbing more energy before breaking than any other biological, and most man-made, materials. Spider silk is therefore a high priority for biotechnological development and human use. The Araneoidea is a highly diverse superfamily of orb-building spiders, exhibiting a variety of ecological specializations. Orbwebs function as traps capturing flying insects through a combination of properties from two types of silk fibers - stiff supporting threads and stretchy capture spiral. My work in collaboration with Todd Blackledge and others uses molecular phylogenies to analyze the evolutionary history of silk material properties. We focus on the two primary fibers of orbwebs major ampullate dragline silk (frame threads) and flagelliform plus aggregate silks (sticky capture spiral), and explore these across ecologically diverse and phylogenetically broad set of araneids Ie.g. Agnarsson et al. 2008, 2009a, b, Agnarsson and Blackledge 2009, Blackledge et al. 2009, Sensenig et al. 2010, 2011). Recently, we discovered the toughest known biomaterial (Agnarsson et al. 2010), produced by Darwin's bark spider (Kuntner and Agnarsson 2010, Gregoric et al. 2011a,b), a recently described spider from Madagascar. Darwin's bark spider is remarkable in casting its giant webs (up to 2m square, across streams, rivers, and even lakes as large as 25m in diameter. We alos discovered that in the convergently evolved orb-like web of the 'non-orb weaving' Fecenia (a member of the RTA clade of mostly wandering spiders Agnarsson et al. 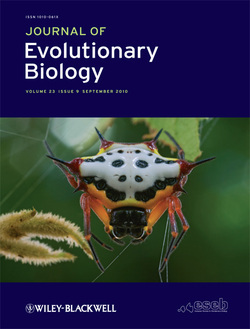 2013), silks have evolved biomechanical properties similar to those of true orbweavers (Blackledge et al. 2012), offering novel insight into silk and web evolution. We furthermore study silk contraction in relation to humidity (e.g. Blackledge et al. 2009), including supercontraction and the novel concept of silk 'muscle' (Agnarsson et al. 2009). Scientifically-based responses to the current extinction crisis require that tropical field biologists rapidly gather and synthesize basic information on the structure and distribution of tropical biodiversity at a number of spatial and evolutionary scales. In collaboration with Jonathan Coddington and others we work on biodiversity inventories in the tropics and on inventory theory and design (Coddington et al. 2009). A major theoretical issue is explaining the preponderance of rare species in inventories, for which we propose undersampling bias as the null hypothesis. Genetic diversity is the basis of evolutionary potential of species to respond to environmental change and disease. Due to habitat fragmentation and disappearing strains and breeds for human food production, the long term consequences of inbreeding on the evolutionary persistence of lineages is a rapidly growing concern for conservation and livestock genetics. The social spiders offer a unique opportunity to study the effects of inbreeding, as sociality in spiders is accompanied by a switch to inbreeding. Inbreeding and consequent low genetic variability may be the primary cause of the apparent long-term failure of sociality. Recently, in collaboration with Drs Wayne Maddison and Leticia Avilés, my research has begun to focus on the long term consequences of inbreeding on the genetic variability and evolvability of lineages (Agnarsson et al. 2010, 2013). Broadly I'm interested in studying traits that incur conflict in time scales, or levels of selection; traits (e.g. asexuality) beneficial for individuals or groups in the short term but that may lead to long term failure of the trait-bearing lineage. Few groups of organisms are better studied than mammals. Yet, despite their high profile detailed species-level phylogenies are lacking for most mammalian orders. Our work focuses on providing taxon-rich phylogenies of mammal orders as tools for comparative biology. Groups we have worked on so far include Cetacea (May-Collado and Agnarsson 2006), Cetartiodactyla (Agnarsson and May-Collado 2008), Carnivora (Agnarsson et al. 2010), Afrotheria (Kuntner et al. 2011), Chiroptera (Agnarsson et al. 2011), Rodentia (Sobrero et al. 2011), and Metatheria (May-Collado et al. 2015). This work has expanded into other vertebrate groups including sharks (Velez-Zuazo and Agnarsson 2011). These phylogenies are being used by various scientists to address comparative questions, such as the evolution of acoustic communication in dolphins and whales (May-Collado et al. 2007a, b) and to assess phylogenetically informed conservation priorities (Agnarsson et al. 2010, Kuntner et al. 2011, May-Collado and Agnarsson 2011, May-Collado et al. 2016). Spider kleptoparasites occupy heterospecific spider webs to steal resources. From the perspective of obligatory kleptoparasites, host webs are natural habitat patches, or islands. I am interested in the distribution of kleptoparasites among host webs, and the potential of this system for ecological research. How fully a suitable habitat patch is utilized by organisms depends crucially on patch size and isolation. Testing this interplay is made difficult in many systems by the arbitrariness of defining a “habitat patch”, measuring its boarders, and relatively low detection probability of the inhabitants. Spider webs as habitat patches for obligate web kleptoparasites are free from these problems. Each individual web is a highly discrete and readily measured habitat patch, and the detection probability of argyrodine spider kleptoparasites is very nearly 1. Hence, spider webs emerge as simple systems for ecological models such as patch occupancy and metapopulation biology (Agnarsson 2002, 2003, 2011). My work on morphology mostly serves to gather character data for phylogenetics (Agnarsson 2003c, 2004, 2005, 2006a, 2011; Agnarsson & Kuntner 2005). As such I am interested in the theoretical problem of proposing and testing homology hypotheses. In collaboration with Jonathan Coddington we have developed a quantitative method to test character homology, a step towards reducing the subjectivity of character coding (Agnarsson and Coddington 2008). I am also interested in the relationship (if any) between genetic and morphological variability. The loss of genetic variability that is a consequence of inbreeding and population structure in social spiders (Agnarsson et al. 2013) offers an opportunity to study the phenotypic consequences of this loss.